This paper presents a numerical and experimental study of the compression uniaxial properties of PLA material manufactured with FDM based on product specifications. A first experimental test in accordance with the requirements and conditions established in the ISO 604 standard characterizes the mechanical and elastic properties of PLA manufactured with FDM technology and product requirements in a uniaxial compression stress field by testing six specimens. A second experimental test allows analyzing the structural behavior of the industrial case, evaluating the compression stiffness, the compression yield stress, the field of displacements, and stress along its elastic area until reaching the compression yield stress and the ultimate yield stress data. To improve the structural analysis of the case study, a numerical validation was carried out using two analytical models. The first analytical model applies an interpolation procedure to the experimental results of the tested specimens in order to characterize the uniaxial tension-compression curve versus the nominal deformations by means of an 8-degree polynomial function. The second model defines the plastic material as elastic and isotropic with Young’s compression modulus constant and according to the guidelines established in ISO standard 604. The comparison between experimental tests and numerical simulation results for the study case verify that the new model that uses the proposed polynomial function is closer to the experimental solution with only an 0.36% error, in comparison with the model with Young’s compression modulus constant that reaches an error of 4.27%. The results of the structural analysis of the mechanical element indicate that the elastic region of the plastic material PLA manufactured with FDM can be modeled numerically as an isotropic material, using the elastic properties from the experimental results of the specimens tested according to ISO standard 604. In this way, it is possible to characterize the PLA FDM material as isotropic, obtaining as an advantage its easy definition in the numerical simulation software as it does not require the modification of the constitutive equations in the material database. SEM micrographs have indicated that the fracture of the failed test specimens is of the brittle type, mainly caused by the separation between the central plastic filament layers of the specimens. 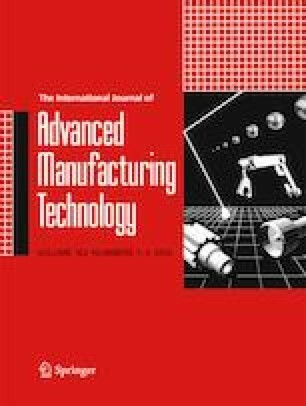 The results presented suggest that the use of FDM technology with PLA material is promising for the manufacture of low volume industrial components that are subject to compression efforts or for the manufacture of components by the user. This work has been supported by the University of Jaen through the project titled “Design of a mechanical plastic device for the displacement of collection sheets for olive harvesting” Project Code (AC20/2016-10) and (ID228-R2 A8 2018).